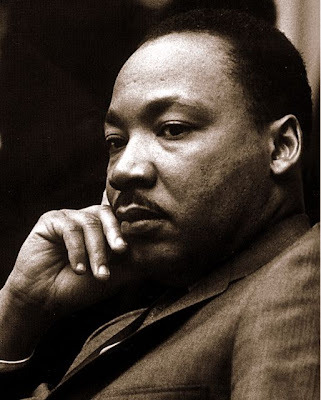 Dr Martin Luther King Jr is among a very few on my list of heroes. He was a man of God that did a great work while on this Earth. He preached love and peace. He paved the way for all men to embrace equality. He is smiling from heaven on what will take place tomorrow, and it would not be a reality without his role. We are fulfilling his dream and must not let it die. He, like other greats before him, was a martyr for his cause. My feelings of love and gratitude for Martin Luther King are great as I reflect on a true hero. Is it so wrong to be right? Ever get the feeling you've missed something?..